It’s a chocolate & coffee kind of day! Since Mother’s day is almost here I went out in the store and looked at all of the high quality chocolates we have available. 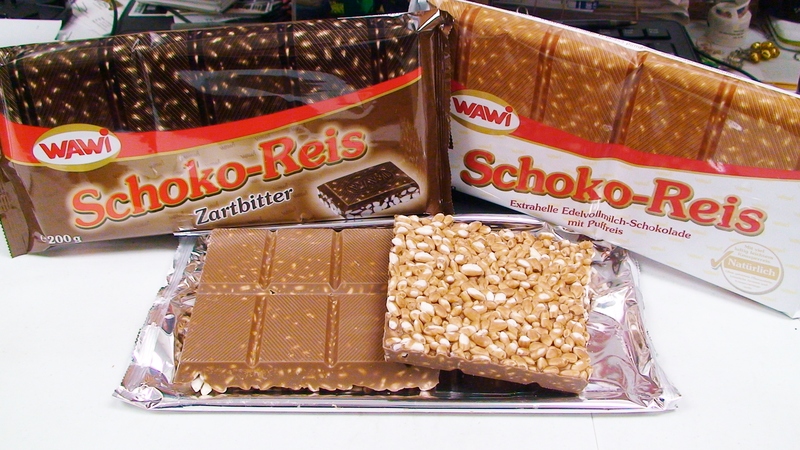 One of the best and brightest boxed items is the Reber chocolates. With their bright red and gold wraps & packages they really are eye catching. I picked out 5 items that really grabbed my attention. Mozart Herz’l (heart) — smooth and sweet with pistachio marzipan and a soft nougat, in two heavenly little bites. Schwarzwalder Kirsh Heart– I was taken aback by the lack of sweetness in the taste at first, then I read the label…This uses a bitter sweet chocolate to cover the almond marzipan and the kirsh (cherry) filling. The kirsh used has a thick jelly consistency and is on the tart side. Altogether it is an interesting taste that is perfect if you don’t want something overly sweet. Reber Bissen Truffel-Pastete– Wow! There is a lot going on in this little number! Not overly sweet it is a creamy truffle with flavors of hazelnut, brandy & raisins, with a crispy wafer thrown in and coated in Alpine whole milk chocolate. I was surprised by the raisins but really loved it with everything inside. It’s smooth, crispy and slightly chewy all in one little package. Mozart Piano Bar– One of my favorites when I really want to indulge myself or give a gift of a really great chocolate bar. It’s crispy and delicious with hazelnut nougat and full of the divine pistachio marzipan. The crunch is from the crisp rice and is coated with what I’ve come to think of as Reber’s silky smooth chocolate that just melts in the mouth. 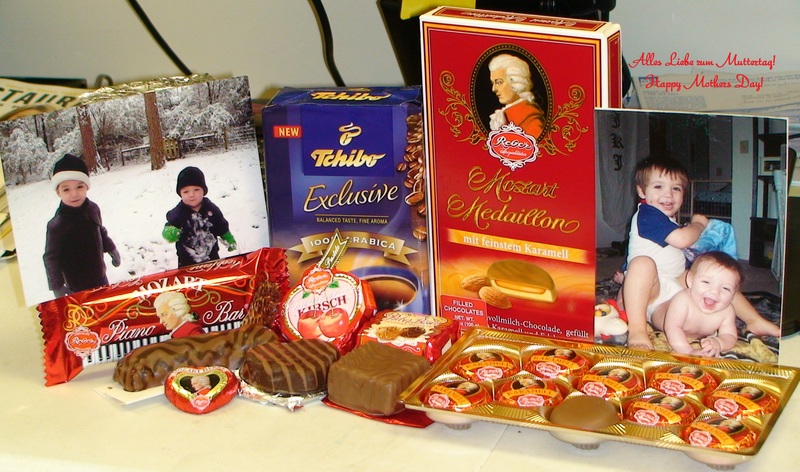 The Mozart Medaillons– the box is filled with 10 individually wrapped medallions. Reber took an already amazing combination of soft, sweet chocolate a rich caramel, and improved upon it with adding traditional almond marzipan. The only texture to speak of is the slightly gritty feel of a fine marzipan. Take my advice and BEWARE of where you may leave an open box of the medaillons laying. I was away from my desk and 6 of 10 disappeared between my two coworkers….I can’t really blame them though; I’d be tempted to do the same thing. What better way to enjoy chocolate when you don’t have a big glass of cold milk around, I reach for coffee. The second cup I used flavored cream and it mixed so nicely that the taste of vanilla was upfront, bold and absolutely everything I want when I make or buy a flavored drink. Well, now that I’m loaded with a few cups of coffee & chocolates I think I’ll take a brisk run up and down the street & around the building a few times.